Check Rates & Availability at Days Inn Fort Payne! 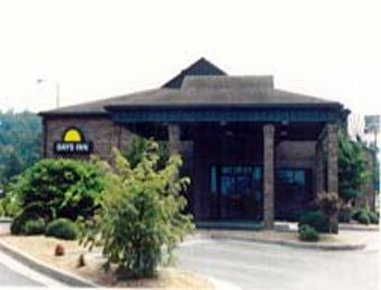 The Days Inn Fort Payne located just one block off of I-59. Here you will find beautiful updated rooms with free high-speed, microwave, refrigerator, iron and ironing board, coffee pot and hairdryer in every room. For your convenience we off 24 hour coffee service in the lobby with a bountiful complimentary Daybreak breakfast and guest laundry facilities. The Days Inn Fort Payne is surrounded by the mountains and a variety of restaurants are located within walking distance. For the best value and clean new rooms book us now! We are located just one mile from the Alabama Fan club and less than 10 miles from Little River Canyon and Desoto State Park. See you Soon!!! During the month of March 2011, please pardon our dust as we will be renovating our lobby and breakfast area to better serve you.